One of his clients has said "Passionate, well educated, and absolutely a true gentleman, are only a few of the things that I can say about Gerardo. 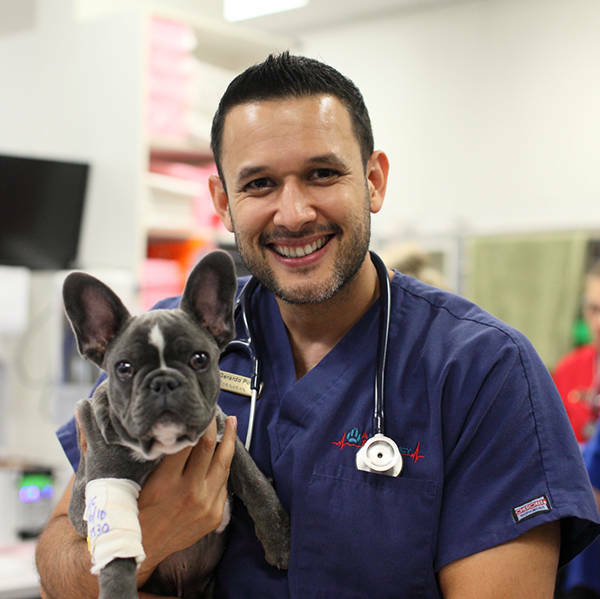 He is an amazing vet and would an ideal representative for the industry on TV"
What made you become a vet? Why did you get into emergency medicine? Hi Gerardo, I'm a dog groomer and come across hot spots and ear infections on a daily basis, I would like to be more help to my customers and offer advice,, is there anything people can do at home regularly to prevent some of these common issues. Hi gerardo - I was wondering if you had any pets yourself? I dealt with Gerardo when my dog was sick with thrombocytopenia. He had a great bedside man or so to speak and was very clear and thorough in a time of crisis. He would make a brilliant Bondi vet.